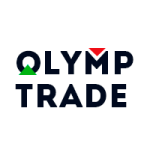 VerifyMyTrade audited a sample of 5,000 order executions from this broker in accordance with generally accepted auditing standards on 25 Mar 2019. The results of the audit pass the standards for execution quality as defined by VerifyMyTrade. This firm is an Approved Member of the Financial Commission. Click here to check their membership status. For information on our audit procedures, please click here.